Hi Dr. Lauren, how should I prepare my daughter for her dental visit/dental treatment? Great question and I am glad that this was asked! At our office, we try to make dental treatment for children easy, comfortable, and fun. A visit to the dentist can be quite enjoyable for most children. However, a dental visit for other children can very difficult or even scary. Studies show that approximately 9% to 15% of Americans have dental anxiety or fear. For many, dental fear can develop in childhood. Dental fear can be caused by prior dental visits, parental and/or sibling fear of dentists, using the dentists/dental treatment as punishment, movies/cartoons, and/or an innate anxiety of new environments and people. Here are a few quick ideas to help avoid creating dental anxiety for children and can make a child’s visit to the dentist easier and more enjoyable. If your child tends to have anxiety to new environments and/or people, try to prepare your child for a visit to the dentist by reading him/her books, showing him/her positive dental videos, or using positive story telling. Avoid telling your child negative stories about when you went to the dentist. Additionally, try to prevent siblings, friends, or other family members from telling scary stories about their visits to the dentist. When describing dental treatment avoid using words such as “shots”, “needles”, “hurt”, “pain”, “sharp”, “drill”, “yank”, “pull”, etc. Use positive, reinforcing words and behaviors to describe the dentists. Explain and help your child understand why it is important to have clean, healthy teeth. Demonstrate and talk to your child about proper brushing and flossing. Explain and discuss with your child that a dentist is someone who helps him/her maintain their beautiful smile. Briefly and simply describe what a dentist does. For example, a dentist counts the teeth, cleans and brushes the teeth, and helps fix sick teeth. Use words that are positive, simple, and happy. Avoid showing your child negative videos, movies, or cartoons about the dentist. Refrain from using the dentist/dental visit as punishment or negative reinforcement. Do not threaten to take your child to the dentist to get a “shot” if he/she refuses to brush their teeth or stop eating candy. Reward your child for a good behavior prior to and during the dental visit. As the parent, be early and prepared for the dental visit! Allocate enough time for your child’s visit so that you, as the parent, aren’t stressed, anxious or nervous. Children pick up on these cues, and as a result, they’ll often mirror the adult’s behavior. Allow your child to be independent and successful. For example, we always allow parents in the back (treatment room), however, some children can feel “braver” or less “reliant” when a parent leaves the room. Choose the right pediatric dentist. Many general dentists treat children but do no specialize in providing dental treatment to children. 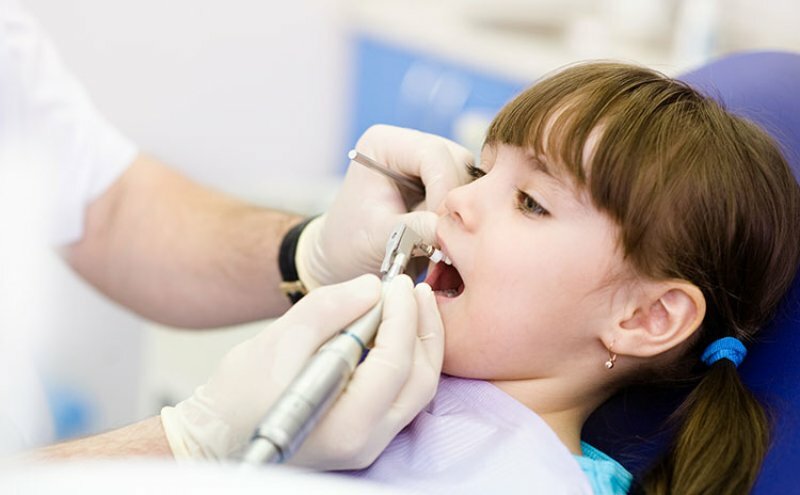 Pediatric dentists have additional training and education that aids in providing care to infants, children, teen and individuals with special needs, including advanced knowledge in behavior management techniques such as the use of nitrous oxide, oral sedation, and general anesthesia. Select on office that has a friendly, caring, and patient staff and helps foster positive dental visits for children. NOTE: Some pediatric dentists, such as every dentist on our team, are Board Certified–Diplomates of the American Board of Pediatric Dentistry. After selecting the right pediatric dentist, trust your child’s dental provider and their recommendations for treatment and behavior management. At our office, our main priority is the safety and comfort of the children. All treatment recommendations are based upon the best interest of each child. Allow for your child’s dental visit/treatment to be easy by using the behavior management techniques that are offered.